New, exclusive apple varieties have been planted in Newealand this winter as growers work to keep up with the demand from Asia. Bostock New Zealand Owner, John Bostock says it’s exciting to be planting new varieties, which are sweeter and higher colour and appeal to the growing Asia market. “All are bright red, sweet, juicy apples, which appeal particularly to the Asian consumers. 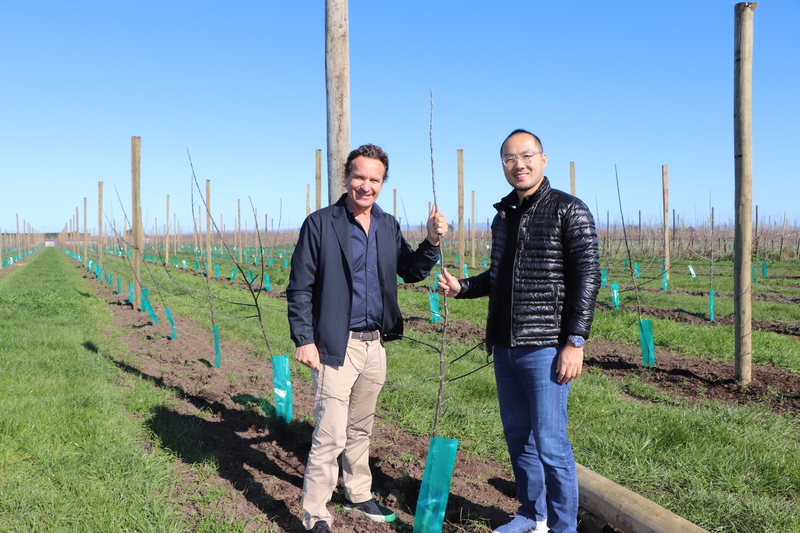 Bostock New Zealand customer and China’s Fruit Day Founder Loren Zhao has just visited Hawke’s Bay and was very impressed by the new planting developments. Mr Zhao says an appealing incentive to buy New Zealand fruit is the new varieties on offer and the exclusiveness of the varieties. “Asian customers just love trying new products. The new varieties coming out of New Zealand like Dazzle and Posy have real appeal because they are new and exciting. 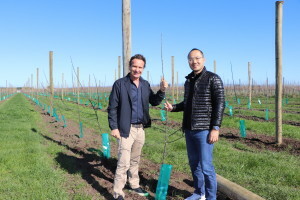 “It’s so good to see all the new apple planting developments in New Zealand and see the big investment from New Zealand apple growers, like Bostock New Zealand. Mr Bostock says New Zealand apple growers are becoming more focused on Asia markets and the new plantings reflect this. “The apple industry is growing to meet international demand and every day we are working to ensure we have the apples, demanded by our customers. This takes a lot of planning ahead.” said Mr Bostock. Bostock New Zealand will have a team at Asia Logistica, Hall 5, Stand MO2.